Startups fostered by the Skolkovo Foundation won the first, second and third prizes over the weekend at Pioneers Moscow, a competition to discover the best budding tech companies. 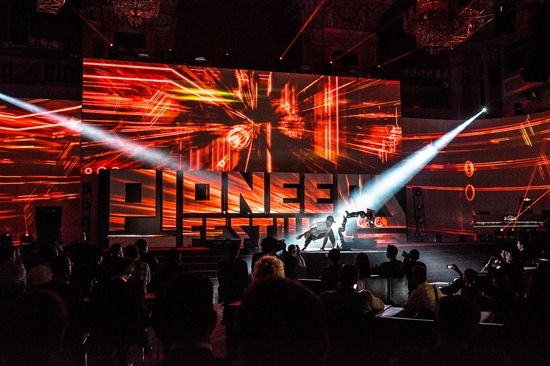 The final of the international Pioneers event at the Hofburg Imperial Palace in Vienna last year. Photo: Pioneers. Companies were chosen by a jury of investment experts in seven categories: financial services; business and productivity; materials and manufacturing; energy and utilities; mobility and transportation; life sciences and agriculture; and lifestyle and entertainment. The first prize went to the WiseSoil project aimed at increasing the economic efficiency of biogas plants. The company is a resident of the Skolkovo Foundation’s energy efficiency cluster. Second and third prizes both went to companies from the foundation’s biomedicine cluster: DRD Biotech, which produces rapid tests for assessing the risk of a stroke and other medical conditions, and Knomics, which provides biomedical research services. The Pioneers Moscow event was held for the first time on March 12, as the local event of the international Pioneers project aimed at commercializing the best tech startups. It was held at the Digital October training centre with the support of the Skolkovo Foundation’s Open University. WiseSoil has secured itself a place in the Pioneers500 list of the 500 most promising early-stage tech startups, and its representatives will now be able to attend the international Pioneers festival held in Vienna in May free of charge. The event is open to a limited audience of 2,500 entrepreneurs, investors and executives.